...being a reader, what a wonderful thing. Hi Lisa - those photos are absolutely precious and brought a tear to my eye! 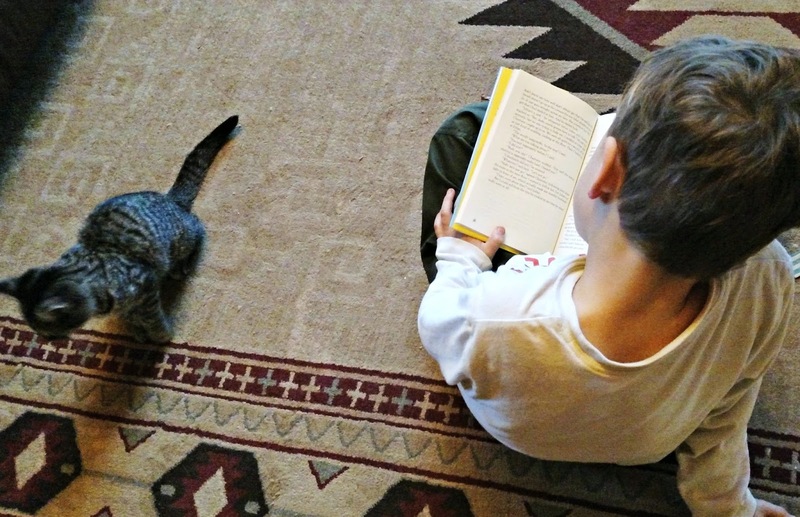 Love when children read - such a wonderful pastime that will last a lifetime. I haven't seen the movie but will try to get there soon. A lovely idea to take your class too. Here's wishing you and your family a very blessed and happy Christmas - and all the best for the coming year. How wonderful, Lisa, all the way around. And, that little Cort; well he's just so adorable and smart. I'm glad everyone who saw the movie "got it". We need everyone to learn about bullying. That's a fact. I've heard only good things about the movie and the book. I watched an in-depth show (20/20?) on a young man with the same condition as the boy in the movie; what a special person and family they are! So lovely that you've exposed the Freshman class to this; hopefully that will instill some empathy in them. Books are ALWAYS better than the movie version. 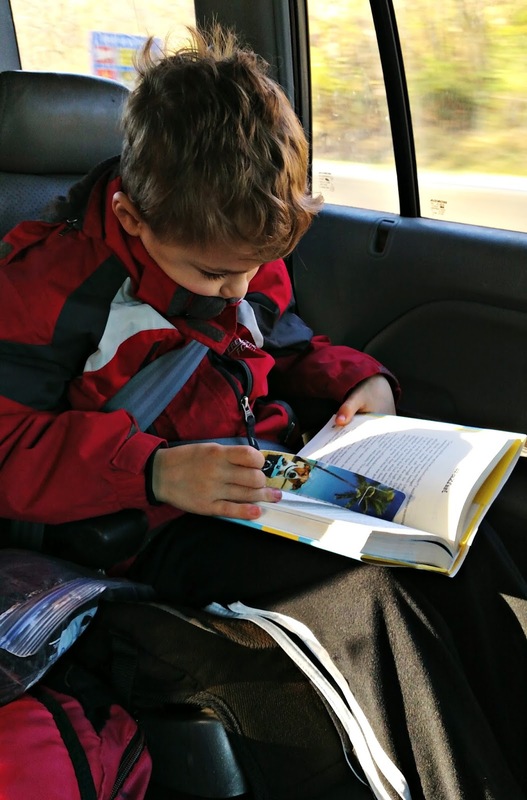 I love that your boys are such avid readers. We used to bring our kids to the bookstore after report cards. They could pick out whatever books they wanted...and as many as they wanted. While the other kids were getting cash per "A" or "B"...mine were excited about books. I went over to check on the sequel book on Amazon and saw that you have left me a comment on my post today. The movie was wonderful and I was so happy to see so many children in the audience. Glad you loved it! Merry Christmas Lisa & Family! I have had that book on my radar but haven't read it yet. I have heard only good things about it. It does my heart good to see your boys reading. :-) I started to recommend a book to you on Goodreads yesterday---Rain Reign--and saw that you had already read it. So many books to read! My wife taught special education for many years, and had some students with similar experiences. I don't know if she really likes to think back about those times, but I will ask her if she would like to see the movie. It has to have a happy ending though, she won't go to a movie that doesn't. That's wonderful. Liv read the book twice last year. We haven't seen the movie, yet. But perhaps, when we're visiting my parents for Christmas, my mom may be able to see it with us. I stop by to visit you for the Holidays, say hello & see your beautiful children. Your family is beautiful. You are so blessed, Lisa. I love your new kitten. Your children are growing so fast & gorgeous. You are one lucky lady, Lisa. I was looking into Shennandoah Valley, Va. Your State is so gorgeous. I was so impressed! Do you live in the Valley? Have a Merry Christmas with your children, family & loved ones!! Season Greetings from Poet Starry, from our home to yours. I do not know of this book and film but I am impressed that your sons were able to take a lot of life learning from both. 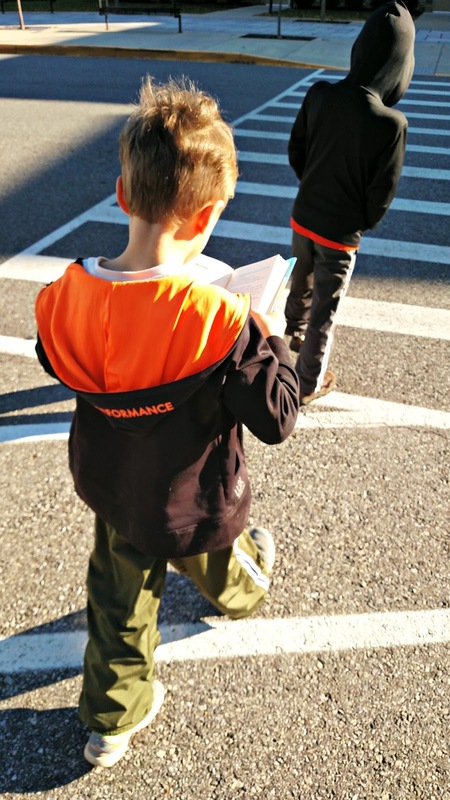 It cheers my heart up that there are still children who will read a book, rather than being glued to iphones, etc. Wishing happy holidays to you and your family. Oh, I can't help loving Cort! What a great kid! Merry Christmas to you and your family, and your animals too! 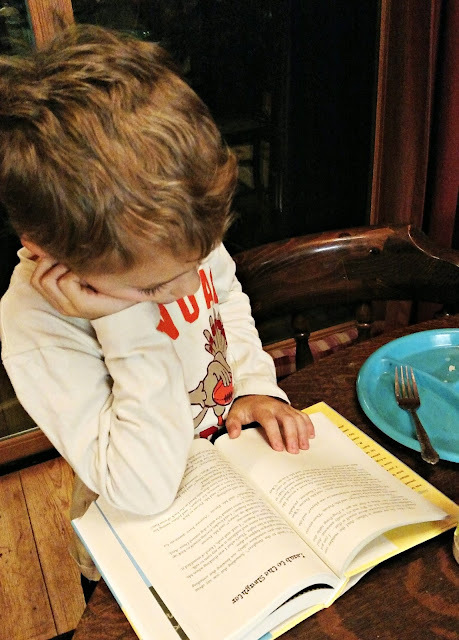 Seeing those images of your son engrossed in a book is a DELIGHT. What a great idea! I just love that you shared this message with your students and your boys. Thank you for this post. Little Lewie and I are definitely going to start reading this book and see the movie. Happy holidays to you, my friend!! Mica read Wonder and Auggie and Me. I had to read it with Isaak. That's when he was in a transition from kid books to bigger chapter books. We loved the books and the movie. He's still not the reader I'd like him to be. He's all about the pictures like I was. Haven't read the book but I really enjoyed the movie! So sad - I cried in lots of parts.